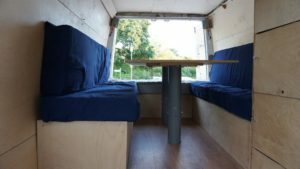 One major part in the van conversion is the electricity. Without it, we couldn’t install our fridge, water tap, light, music and electrical outlets. 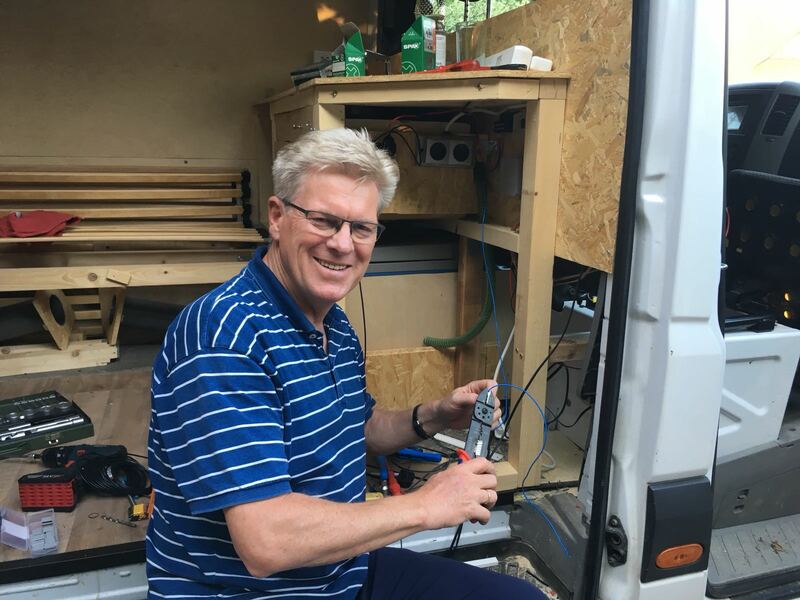 Since we neither know much about electronics nor are able to install our own electrical system, we are super happy that Tim’s dad was ready to help. He was a really big support, since he helped us find the right components online, connected our extra batteries and laid the cables. After this step, we could get the plumbing in our kitchen ready – and yeeees, it works! So we have running water, which is great. 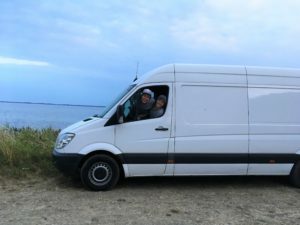 Plus, we can charge our electronic devices in the van, cool our food, listen to music with Tim’s old jukeboxes which we hung up in the van and, most importantly, turn on some lights. For the light, we decided to go with passive light for a more cozy feeling. This is why we put a cover in front of the light. 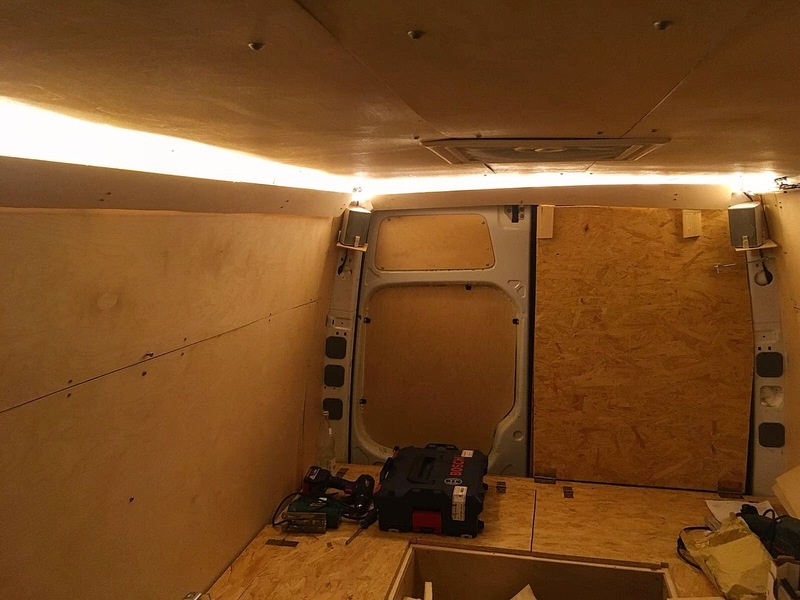 Ready is the installed passive light. 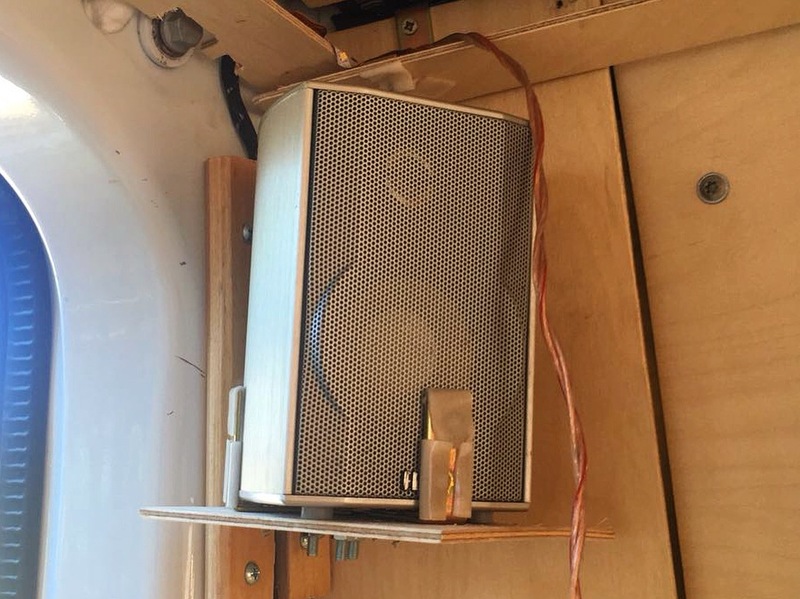 Great construction to hold our jukeboxes.